Jamie Hodges has nearly 20 years of experience as a paralegal. She focuses her paralegal practice in litigation, and assists attorneys with all aspects of trial preparation in medical malpractice, insurance litigation, personal injury and products liability litigation. 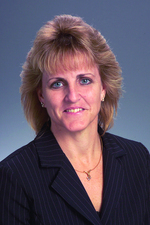 Ms. Hodges joined Hinshaw & Culbertson LLP in July 2002. Previously she was for two years a paralegal for sole practitioner Shelldon Schlesinger, and for 10 years for the Florida firm Nance Cacciatore Sisserson Duryea (now Nance Cacciatore, Hamilton, Barger, Nance & Cacciatore).